Many things make the Lowcountry unique, but to a boater the most unique is the large number of undeveloped, pristine barrier islands. These islands are accessible only by boat–so they’re essentially deserted. It’s an extraordinary experience. Spend a beautiful day on the Charleston waterways hooking speckled trout, spot tail, sheepshead and flounder. We will fillet your catch so you can enjoy it that night for dinner. Or, enjoy a wildly romantic sunset cruise. An interesting tidbit about a full moon is that it ushers in higher and lower tides than normal. Watching the sun set just as the moon is rising, while on the water, is an incredible site to see. 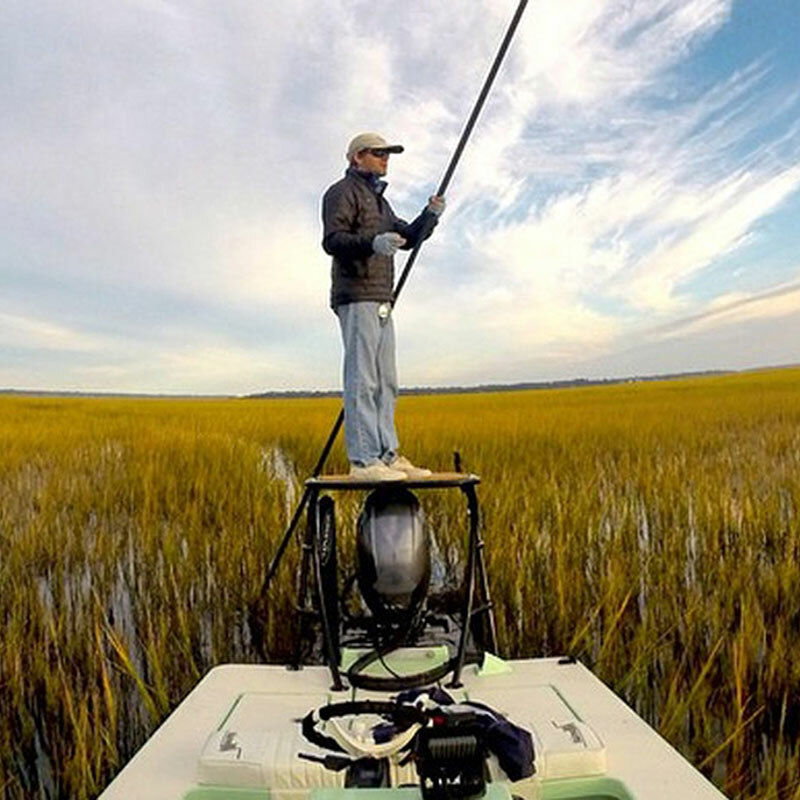 Like the Savannah of Africa, the Lowcountry fills the horizon with waving sea grass, sinuous creeks and rivers, and tiny uninhabited islands. Above and below water, the wildlife is an astonishing mix of dolphin, heron, otters and more. Enjoy this two-hour cruise as the sun goes down and feel free to bring libations (or have the Inn prepare a hamper). One of the unique qualities of the Lowcountry is a large number of undeveloped, pristine barrier islands. Accessible only by boat, they are essentially deserted. It’s an extraordinary experience. Choose Hunting Island State Park or your own private atoll for your beach afternoon. The inn will pack all the beach gear, umbrellas you’ll need for a carefree afternoon “marooned” on the shore. Of course, a luscious picnic will ensure your thirst is quenched and hunger vanquished. Over 300 years old, Charleston is the South’s oldest port and our grand lady of culture. Recently named the finest city in the world by Travel + Leisure, it’s not to be missed. Cruise through the St. Helena Sound up to Charleston for a day trip or an overnight stay. Staff was the best - helpful and always so nice. Loved the Prosecco upon arrival and the cookies at turn-down. Excellent breakfast and the best grits I have ever had!. Our favorite place to stay in the Lowcountry.